The Grammy was the first win of their career. LOS ANGELES — Greta Van Fleet won the Grammy for best rock album at Sunday's award for their first full-length album "From the Fires." They beat out Alice in Chains, Fall Out Boy, Ghost From and Weezer for the award. RELATED: Some call Greta Van Fleet the saviors of rock. But not them. The young Michigan rockers are from Frankenmuth, and they won the Grammy during a pre-telecast ceremony ahead of the show. The Grammys Premiere Ceremony announced 70 out of the 84 awards before the primetime event starts at 8 p.m. 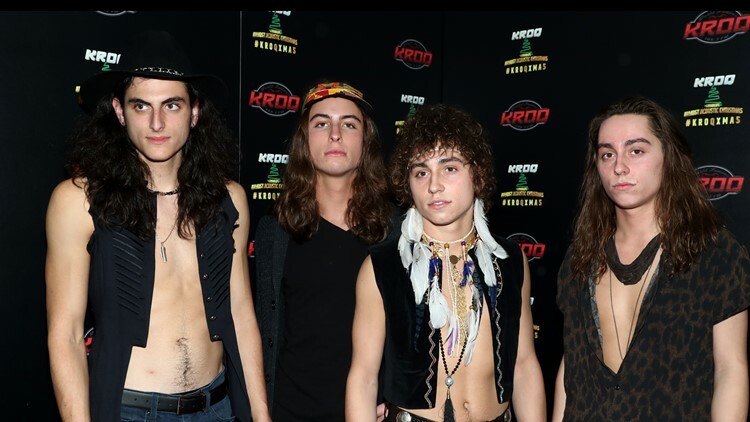 The band consists of three brothers, Josh Kiszka, Jake Kiszka and Sam Kiszka, and their friend Danny Wagner. The band has made a splash since their April 2017 debut because of their classic rock sound and look that is reminiscent of Led Zeppelin. Since then, they've played at "Saturday Night Live" and "The Tonight Show Starring Jimmy Fallon." They lost out best rock performance (single or track) to Chris Cornell and best rock song to "Masseducation" written by Jack Antonoff and Annie Clark. Greta Van Fleet was also up for the best new artist Grammy but they lost to Dua Lipa.